. . . a city established in 1967, which, incidentally, wasn’t originally planned for Walt Disney’s “Florida Project.” During an early-1960s review session for the secret land acquisition, Walt approached a map of the Central Florida area and pointed to available acreage near the I-4 and Highway 535 interchange. It was a perplexing subdivision of property that Disney legal counsel Bob Foster sought to avoid. 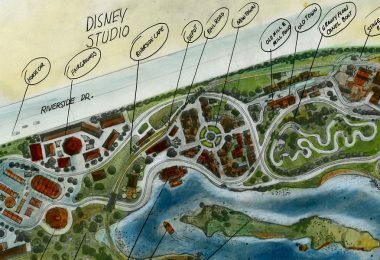 But Walt, envisioning the area as a potential entertainment and residential district, requested the extra land. “That comment extended for a full year a land acquisition program that until that moment was nearing completion!” Bob shared with the D23 Team. He would eventually name the city the street address of the Disney Studio in Burbank, California: Buena Vista Street. 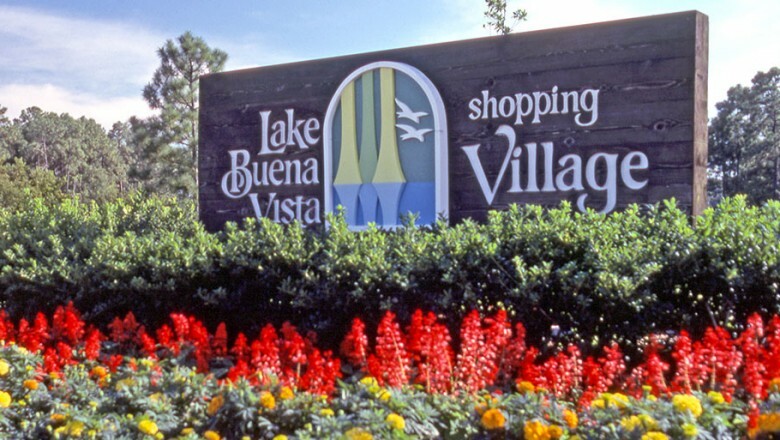 Nearly a decade after Walt’s original request, the Lake Buena Vista Shopping Village was unveiled to Walt Disney World guests. The community, situated along the peaceful shores of the natural Village Lake, featured clusters of boutique and handicraft merchandise shops, with atmosphere and activities designed to form a “harmonious whole.” Among the original offerings were the Bath Parlour, Captain’s Tower, Gourmet Pantry, It’s a Small World After All shop, 2Rs—Read’n & Rite’n, and Posh Pets (!). The area has been reinvented time and time again over the past 40 years. 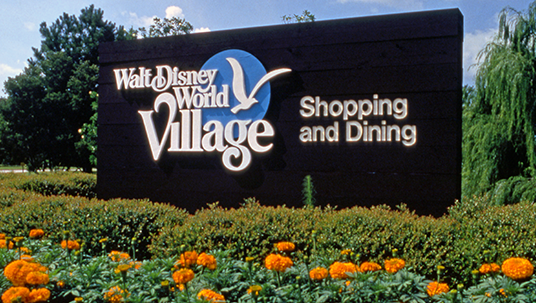 In 1977, a significant re-theming transformed the area into Walt Disney World Village, later becoming Disney Village Marketplace (1989). 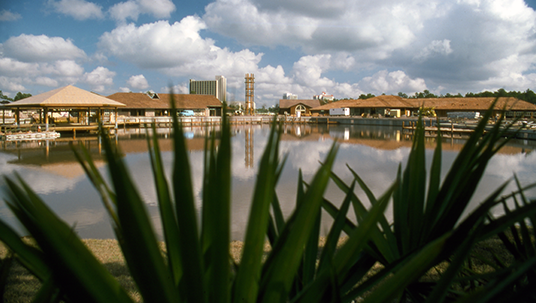 The area eventually evolved into Downtown Disney Marketplace (1997) as part of the expanded Downtown Disney Area. And today, the area is undergoing its biggest transformation yet as we anticipate the upcoming lakeside neighborhoods of Disney Springs. As we celebrate the 40th anniversary of the shopping, dining, and entertainment district, let’s take a fond look back at some nostalgic shots from the Walt Disney World of yesteryear. 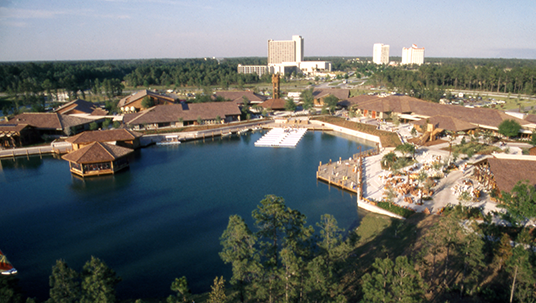 A unique, bird’s-eye glimpse at the original Lake Buena Vista Shopping Village and nearby hotel accommodations. This rare photo shows the former entrance to the Walt Disney World property in Lake Buena Vista. 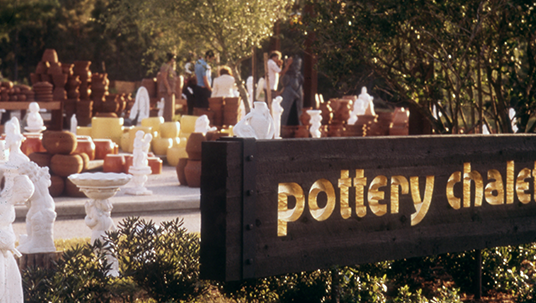 The Pottery Chalet offered demonstrations and decorative collectibles from March 1975 until May 3, 1988. 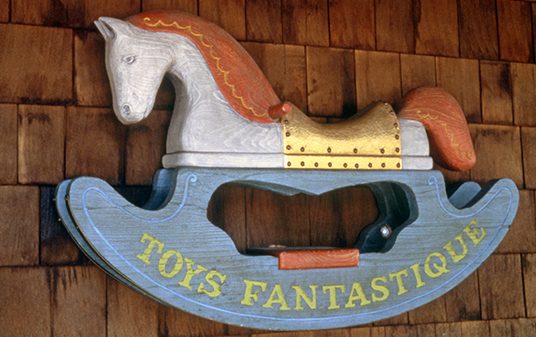 Early visitors to Walt Disney World may remember Toys Fantastique, which featured intricate displays and toys from 1975 to 1988. A rare glimpse inside the original Sir Edward’s Haberdasher store, which offered men’s fashions until 1992. 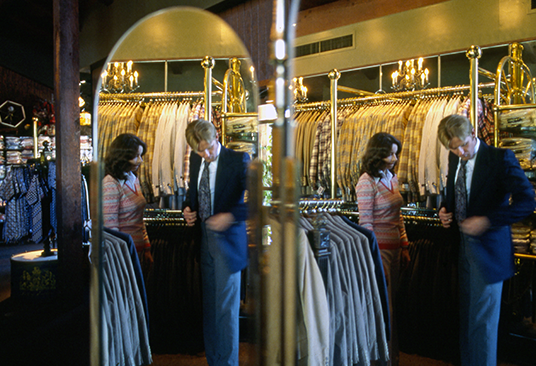 During a 1977 expansion, the store adopted the Village shops’ newly revised European-boutique theme. 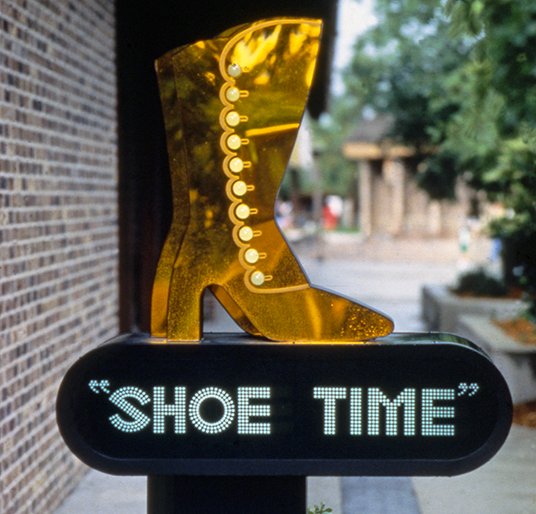 The design of the era is evident in this marquee for Shoe Time, a shop that operated from 1976 to 1987. Perhaps the most memorable addition to the Village was the Empress Lilly, which offered fine dining from May 1, 1977, until April 22, 1995, after which it became Fulton’s Crab House. 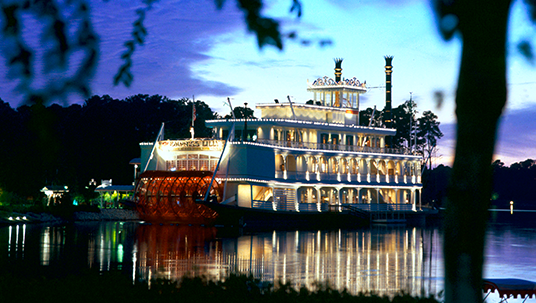 The riverboat was named after Walt’s wife, Lillian. 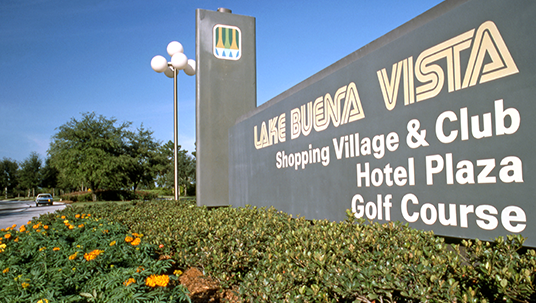 Lake Buena Vista Village became Walt Disney World Village in 1977 as part of an overall re-theming of the area.